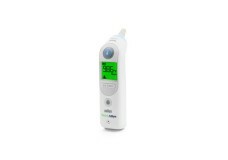 For the Thermoscan® Pro 6000 Aural Thermometer, disposable probe covers. 200 covers (10 packs e..
For aural use (°C/°F). Easy to use. Place in external ear canal. Rapid Readout (10secs). Probe co..